11D Protector was called to action to protect the ATV Quad Bikes being used, as they were suffering from various types of tyre punctures. After extensive two day testing in the Netherlands, 11D Protector was ordered and deployed in Mali and is currently in use. 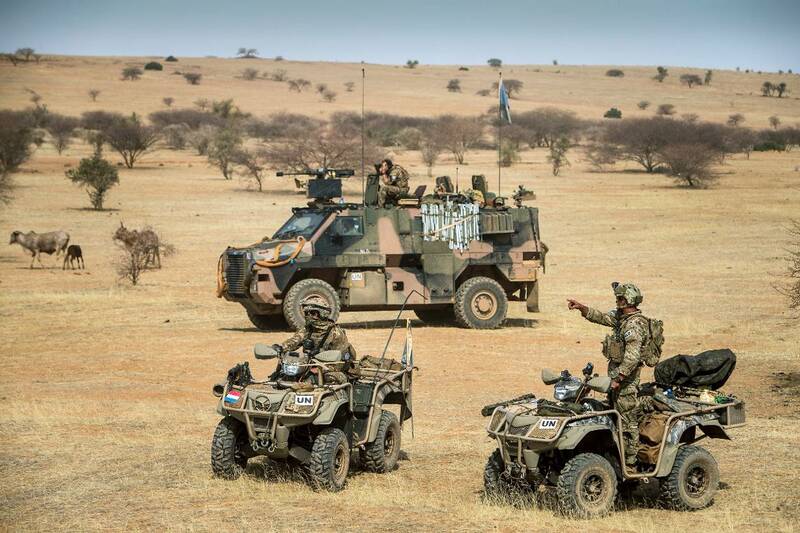 The United Nations Multidimensional Integrated Stabilization Mission in Mali (MINUSMA) was established by Security Council resolution 2100 of 25 April 2013 to support political processes in that country and carry out a number of security-related tasks. The Mission was asked to support the transitional authorities of Mali in the stabilization of the country and implementation of the transitional roadmap. By unanimously adopting resolution 2164 of 25 June 2014, the Council further decided that the Mission should focus on duties, such as ensuring security, stabilization and protection of civilians; supporting national political dialogue and reconciliation; and assisting the reestablishment of State authority, the rebuilding of the security sector, and the promotion and protection of human rights in that country. 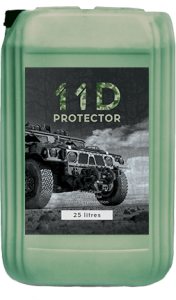 Besides the operational example named above, 11D Protector can also improve logistics and supply operations when used in transport and supply trucks. An extreme example was set last year when using 11D allowed this Paris Dakar racing truck to drive over a nail bed with over 1300 nails. Tyre sealant is often demonstrated using a single nail to puncture a tyre. Demonstrating the superior sealing ability, the truck was run over a nail bed with over 1300 nails. Effectively, each front tyre was punctured 200 times simultaously. After the remains of the nailbed were removed, the truck was run over the track a few more times and then parked back in the garage. We never expected to see this result. The truck handled incredibly well and we used punctured tyres to begin with. After putting it back into the garage for three days, we found the truck with perfectly inflated tyres and was ready to go.